Will media companies turn over control of their news feeds? Earlier this week, The New York Times reported that Facebook Inc (NASDAQ:FB) has been hosting negotiations with some big names in the news industry such as National Geographic, BuzzFeed, and of course, the Times itself. 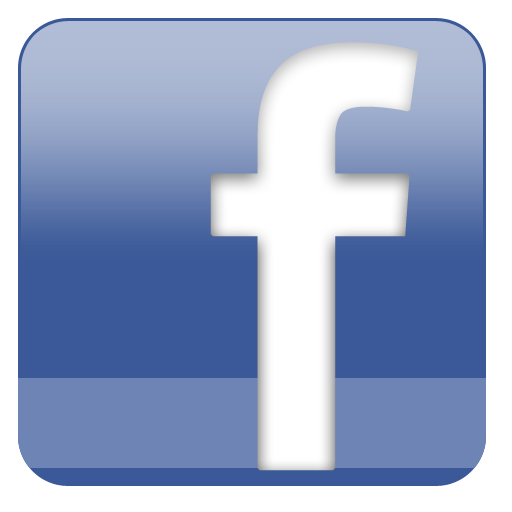 Discussions have focused on the social media giant’s desire to host publishers’ content directly on the FB website. For consumers — and, obviously, for Facebook — the idea seems attractive. By hosting news media content directly, FB users won’t have to leave the site to read articles or watch video clips. This would reduce the time it takes for users to remain informed about current events, and make sharing new stories that much easier. But, is it really all that difficult to get the news the way you do now? How long does it actually take to click a link to a news website and read the article there, then return to the FB site? According to Digital Trends, it takes an average of eight seconds for an article to load on an external website, but if that same article was hosted directly on FB servers, the delay would be minimal, if not eliminated entirely. We live in a world where the demand for instant gratification has become acceptable, and waiting eight seconds for a webpage to load is akin to watching paint dry. So, a large number of Facebook users are sure to be thrilled when they hear that you may never need to leave Facebook ever again. Maybe at some point later this year, you’ll start to see actual real-life, legitimate news stories mixed in with the sickeningly sweet photos of cute kittens, the grammatically incorrect memes and Amen chain letters, and the pictures of those kids from that guy who (you think, anyway) was in one of your high school classes. For me at least, the notion of hosted Facebook news articles isn’t very appealing. Obviously, however, I’m part of the minority who doesn’t visit FB every day. At the end of January, when its 2014 fourth-quarter earnings were released, Facebook reported there are now 1.4 billion monthly active users (up 13% over 2013), and 890 million daily active users (up 18% over 2013). Of those users, the vast majority will frequently visit the site via mobile devices. In fact, management reported that 526 million users — almost 38% of all monthly users — interact with FB exclusively through mobile devices. Facebook News: What’s In It for the Media Companies? That being said, how would the media companies benefit — financially — from allowing Facebook to host their news content? By handing over news articles and videos to FB, publishers will lose one of their few remaining reliable sources of traffic. For example, search engine traffic to The New York Times website has plummeted over the past year, with the percentage of visits to the site coming from search engines falling from almost 17.9% to just 8.9%, a 50% year-over-year decrease. Similarly, search engine traffic to BuzzFeed has dropped 30% year over year, as the percentage of visitors coming from a search engine fell from 9% to 6.3%. However, it’s interesting to note that almost 23% of the people visiting BuzzFeed were on Facebook immediately beforehand. Under FB’s proposed arrangement, what would prompt someone to visit the site if they’re already able to get the most popular BuzzFeed content on the Facebook news feed? The benefits for FB are clear, and abundant. The benefits for publishers and media sites are not. The question, then, is whether Facebook news hosting will actually be optional for publishers. Sure, the companies could decline any offer and refuse to give up control of their content and related traffic. But, if just a handful of the major players in the news industry make a deal with the social media giant, the other, smaller publishers won’t stand a chance of pulling in traffic if they have to compete with FB as well as each other. This danger is quite real and has been acknowledged by the publishers as such a significant threat that some have apparently begun laying groundwork for a cooperative effort to handle negotiations with FB management, with plans to set precedents that work for the entire publishing industry. A Future With Facebook News in Control? I expect that FB will offer a revenue-sharing arrangement of sorts, one that will surely benefit FB more than the publishers. But, it will likely be attractive enough that the media companies won’t be too heavily motivated to pursue a battle, because, let’s face it, none of them can compete with FB in terms of traffic. When the Facebook News program really gets rolling, publishers will have no choice but to take the deal. The alternative is potential extinction, with websites that start to resemble ghost towns. Considering the speed with which news stories go live nowadays, any major event would certainly be covered by the media outlets participating with the Facebook news program, which means even less reason for people to leave FB. The far-reaching, borderline scary — although plausible — future is that, thanks to the media outlets’ agreement to allow Facebook to host their content, the social media site could find itself in a position to “control” what news is displayed to what users, and what stories are more heavily promoted. The conspiracy theorists could have a field day with this one, seeing the future Facebook as none other than the Orwellian Ministry of Truth. To a lesser extent, one that doesn’t involve such a dystopian future, a more realistic potential danger could be manipulation of the Facebook News system to promote or demote certain news in exchange for payment. Politics is the first thing that comes to mind in this scenario. If FB is in control of the content from the major media outlets, there must be another system in place to prevent unethical promotion or demotion of the news. With 890 million daily users (and growing), FB stands to be a major news source if publishers agree to give up control of their content. For Facebook stock, the arrangement will be wonderful, as it will only serve to increase the time people spend on the site. But for publishers, this is a potentially detrimental path.